Below is my attempt at tracking all published IoT and “Smart Everything”-related security guidelines, frameworks and standards. If you are aware of additional entries that should be here, please let me know. 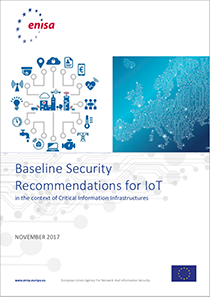 List of Internet of Things (IoT) Security Guidelines, Frameworks and Standards by Marin Ivezic is licensed under a Creative Commons Attribution-ShareAlike 4.0 International License. Based on a work at https://ivezic.com/iot-smart-cities/iot-security-guidelines-frameworks-standards/. In short, you can do anything with this content as long as there is an attribution / link back and your modification is shared with the same or compatible licence.